CMS Garden eV – the umbrella organization of Open Source CMS in Germany – has awarded the Deutsche Gesellschaft fuer internationale Zusammenarbeit GmbH (GIZ) with the Open Source Sustainability Award for the project “Open Climability Suite”. 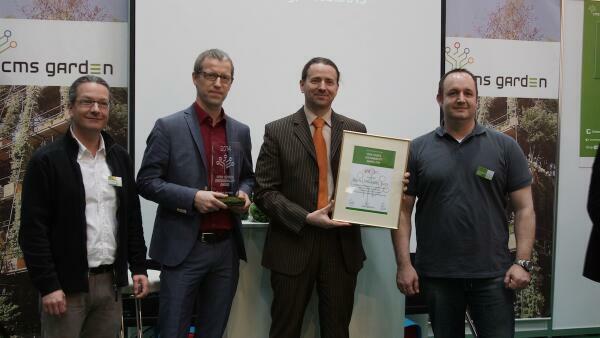 The Open Source Sustainability Award was awarded for the first time at CeBIT 2014 in Hanover, Germany. The 19th session of the Conference of the Parties to the UNFCCC and the 9th session of the Conference of the Parties serving as the Meeting of the Parties to the Kyoto Protocol is taking place from 11 to 22 November. The conference is being held at the National Stadium in Warsaw, Poland. GIZ and BMKG staff have presented the Indonesian version of the Open Climability Suite on the APEC conference in Jakarta, November 12, 2013. Climability supports Open Standards and uses Open Source software only. geoSYS 2018 - All Rights Reserved.